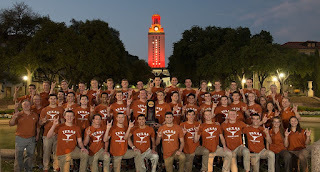 The University of Texas Men's swimming & diving ran away from the field on their way to secure their 13th National Title. The Texas's men won 4 out of 5 relays and secured individual titles from Clark Smith (500 free, 1650 free), Will Licon (200 IM, 100 breast, 200 breast), Townley Haas (200 free), and Jack Conger (200 butterfly). Texas A&M finished in 16th place with 87 points. Day one of the 2017 NCAA Men's Swimming and Diving Championships started last night with a a bang as NC State won the 800 freestyle relay with a new NCAA and US Open record. Their time of 6:06.53 put them over two seconds ahead of second place finishers Texas. The Stanford women easily won the 2017 NCAA Swimming & Diving Championships held in Indianapolis, Indiana this past weekend. They were lead by Katie Ledecky, Simone Manuel, and Ella Eastin. Ledecky won the 500 free in 4:24.06, tied for 1st in the 200 free with a 1:40.36, and won the 1650 in 15:07.70. Manuel won the 50 free in 21.17, was 3rd in the 200 free with a 1:40.70, and won the 100 free in 45.56. Eastin was 2nd in the 200 IM with a time of 1:52.27, 1st in the 400 IM with a 3:57.57, and 1st in the 200 butterfly with a 1:51.35. The Texas A&M women recorded their highest finish ever at this meet with their 3rd place result. The University of Texas women finished in 5th. Just .5 points behind Georgia. This was Texas's highest finish at the meet since 2009. The 2017 NCAA Women's Swimming and Diving Championships starts tonight in Indianapolis, Indiana. Stanford is expected to win, but it should be a great battle to see who finishes in 2nd through 5th place. Both Texas A&M and the University of Texas are expected to finish in the top 5 or near the top 5. Rice University finished 2nd out of 6 at the Conference USA Swimming & Diving Championships and the University of North Texas was 4th. The American Short Course Champs meet had to be moved to San Antonio because of a plumbing leak in Austin. Hopefully, they will get their pdf files updated with all of the results instead of just the top 2. Finally got the results for Sectionals which happened at the Texas A&M Natatorium on February 23-26, 2017.